Thanks to all the lovely people who supported the coffee morning on Friday for Hope for Tomorrow - those who made cakes, those who helped in the background and those who came and gave donations. Special thanks to Ann Kennedy, Janet Goldsworthy, Jilly Burr and Julie Partridge for sterling service at the servery (apologies if I have missed anyone). It was a lovely community event with people chatting to each other - often to people they didn't know before. Together we raised a fantastic £376.73 for a very worthwhile cause. Here's the poster for the service - everyone is welcome! Did you know we had a Prime Minister buried in Nocton? 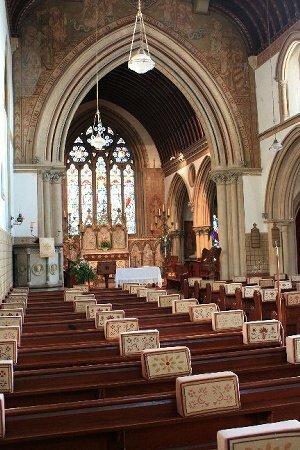 On 28 January there will be a United Benefice Service at 10 am with Bishop David Court, Bishop of Grimsby - celebrating local political life (anniversary of the death of Frederick John Robinson, 1st Viscount Goderich and Earl of Ripon, Chancellor of the Exchequer and Prime Minister, who is buried in the family vault in Nocton Church) - all welcome! Or maybe you remembered family and friends, with a tear and a smile. What you probably didn’t talk about were politics or religion. Apparently they’re the two topics that should never be discussed over a meal. Too difficult, too sensitive, far too likely to cause a row. But what a shame! So, while I can’t offer you a chance to talk about politics, I would like to offer you the chance to talk about religion. There are several options. We can’t do them all, not all at once. But if you’re interested in an opportunity to talk about religion, to ask questions and exchange views, in a safe space and in a spirit of exploration, take a look at the list. Choose the one you’d like and let me know. In the new year we’ll put on whichever proves most popular. We’ll start with a taster evening: you won’t have to sign up for the whole thing. Three evenings with pizza, a glass of wine and your questions. Five or six evenings watching a magazine style DVD programme with presentations, interviews, and poetry on some of those vital questions: Who am I? What is God like? Why is there suffering in the world? An informal chat round the table in the pub with starter cards to raise the topics of your choice. You’ve probably seen this advertised in the city. It’s a series of interactive sessions that freely explore the basics of the Christian faith. No pressure. No follow up. No charge. But it is more demanding on your time. Google Alpha to get more info. If you’re interested in one of these options please get in touch. Write to me at The Rectory, 19 Abel Smith Gardens, Branston LN4 1NN or email lorna.brabinsmith@btinternet.com. We’ll be starting in February. Please put the date in your diaries now! Why not drop in after dropping the children at school? If anyone can help with cakes, we'd be very grateful. Please bring them on the day or let me have them the day before. If you can help with serving on the day, please let me know!